Rocky Mountain Stove & Fireplace, Inc. Trusted Fireplace Store Serving the Wasatch Front for Over 30 Years! *Authorized Dealer of Heat & Glo and Heatilator Fireplaces* Hearth and Home is Utah’s finest building supply company comprised of skilled professionals who act as a team to offer the best product & service at a fair value for all of our customers. Hearth and Home has been Utah’s fireplace & home experts for 40 years. With today’s home improvement trends, Hearth and Home offers the most recognized brands in the industry committed to maintaining a strong focus on quality, reliability & safety. We have partnered with Heat & Glo, Heatilator, Quad-Fire and Jotul for our hearth / fireplace / stove product line & the Great Outdoor Room Company for our outdoor living products. We have partnered with Harristone®, Cultured Stone® for interior/exterior stone solutions, & Summit Brick, Pine Hall Brick, Mutual Brick, and Interstate® Brick for interior/exterior brick solutions. Additionally, we have access to a variety of the most popular and beautiful Natural Stone from local quarries as well as other quarries across the United States. Our extensive product line can meet any style or décor as well as offer the best warranties & values for our customers. Hearth and Home is a Customer Focused Business We believe in helping homeowners and builders make informed buying choices and have five premiere design centers strategically located along the Wasatch Front; the largest in Utah: Ogden, Lindon, Orem, Sugarhouse & Salt Lake City. Customers can experience products firsthand in various vignettes actual room & outdoor settings, where we showcase our top fireplaces, stoves, inserts and outdoor living products, as well as manufactured and natural stone and brick products. Full service is at the forefront of our operations and every staff member is factory trained and certified. Hearth and Home handles every project detail with dedicated professionalism, from design concept and sales to complete installation. 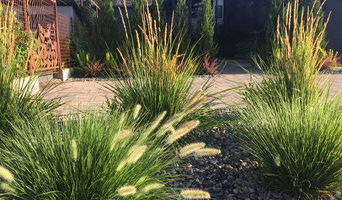 Sage's Way Landscape and Design installs and maintains natural landscapes adapted to the arid conditions along the Wasatch Front. Locally owned in Salt Lake City, Utah, Sage's Way creates sustainable regenerative landscapes, providing diversity, color, human and wildlife habitat, balance and simplicity. 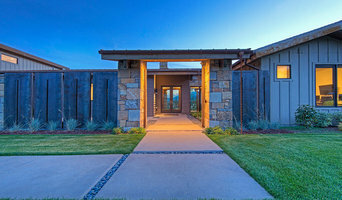 Sage's Way specializes in landscapes which reduce the use of water, chemicals, and energy by using a wide variety of native stone and other natural materials and techniques, all important aspects of maintaining yards in Utah. We promote holistic and organic gardens to connect you to your home or business whether looking from the outside in or the inside out. Licensed permaculture designer, arborist, and chef Chase Fetter is the owner of Sage's Way Landscape & Design. He has been designing and creating gardens along the Wasatch Front for more than 20 years. Chase's knowledge of gardening in Utah's climate, acquired from years of practical experience and education, is instrumental in transforming regenerative designs into reality for your home or business. 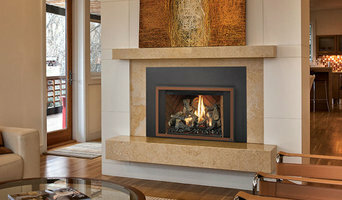 Stone Mountain Castings and Designs has the largest fireplace mantel inventory in the Western United States. Like most manufacturing companies, we are passionate about our products, but first we are passionate about our customers. We’re here for your benefit. This drives what we do and how we behave. We strive for excellence in everything – from product design and production to sales and customer support. Our cast limestone surrounds and custom features are beautiful, lightweight and extremely durable. Stone Mountain Castings manufactures in-house which contributes to the reason why our products are offered at extremely affordable prices. We are an award-winning, family-owned precast provider with more than 50 years of combined industry experience. Our hardworking staff is the key to our success. Stone Mountain has had an amazing journey since its foundation and we believe that we would not have achieved so much without the help of our employees who strive to provide the best customer service while also providing high quality cast concrete applications. We are continuously striving to be your premiere choice for cast concrete products. Welcome to Degrees Above, your one-stop source in the Salt Lake City area for sales, installation and servicing of Regency fireplaces, inserts and stoves. Whether you're renovating your home or cottage, building a new home, creating an outdoor living environment, or simply adding a fireplace to an existing space, Degrees Above can help you choose the right product for your needs. At Degrees Above we provide quality installation and exceptional service for any of your hearth products needs. We offer a full line of gas, pellet and wood burning fireplaces, stoves and inserts. We also offer outdoor fireplaces and fire tables to complement your outdoor living space. We invite you to visit our showroom located in West Jordan. We have over 20 fireplaces, inserts and stoves on display. We can help you select the right hearth product for your home. We can take your hearth project from the planning stages to installation and servicing. Our installation team is licensed for gas and propane, and certified for wood burning installations. Whatever your hearth project involves, Degrees Above has you covered with professional, personalized sales and service. 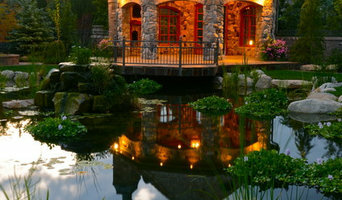 A Beautiful landscape is one of the greatest ways to enhance your homes appearance and value. When making this critical decision, you need to choose a Landscape Contractor that not only you can trust, but one you can build a long term relationship with. One who will take you through the many stages of your landscape project, consulting you through the entire project using their experience, knowledge, and professional installation to make your yard truly extra-ordinary. All States Landscaping provides quality services at fantastic prices. We offer free architect design work with every project. We want to create something amazing with you and will only use the best products, and people for the job. Landscaping is our passion. We pride ourselves on providing the best service from start to finish. We respect what you want and will provide you with our expertise of over 25 years. We are unlike any other landscaping company around. We do landscaping and maintenances for commercial and residential areas. As one of the top landscaping companies in Utah, we are committed to making your landscaping dreams a reality. Get a landscaping estimate today and don’t forget to ask about our brand new finance program. Comfort Solutions offers custom fireplaces and complete customer satisfaction by providing superior quality products, sales, and service for your home. Our wide variety of fireplace products, fuels, and design is available to complete the look of any room in your home. Our exceptional service for existing home fireplace products is available for fireplaces of any fuel type or functionality. Utah fireplaces are ideal for any room in your home to add comfort, warmth, and beauty to your home.